Tonight was veggie roasting night around here — I did up a big batch of parsnips, carrots & sweet potatoes and then also had some Brussels Sprouts in the fridge. Seeing as I had the oven on anyway, I thought I’d roast them too. 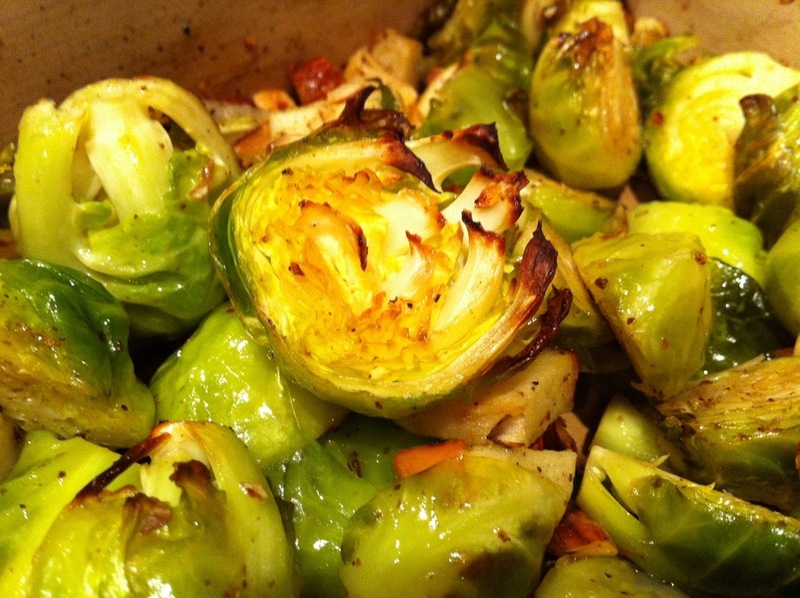 There’s a little bit of alchemy that happens when you roast Brussels sprouts. 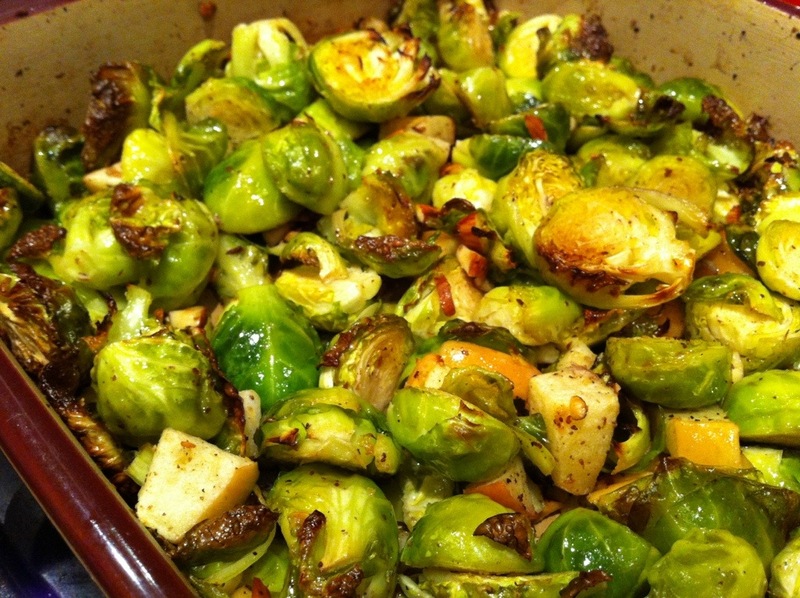 Even people who don’t like Brussels sprouts love them roasted. I usually just roast them whole with olive oil, salt & pepper. But I wanted to take them just a step further tonight — so I added in some fall flavours that make this perfect for a Thanksgiving dinner or other fall/harvest celebration. Or, you know, just Thursday night dinner. In a large baking dish, toss together all of the ingredients. Roast at 425F for 30 minutes (tossing a couple of times to prevent burning), or until the edges of the Brussels sprouts get crispy. Serve warm from the oven or at room temperature! Your Brussels look so good, and are making me feel really remorseful about not buying any this week. This dish sounds like it would be really great. I’ve never cooked with juniper berries before- intriguing! 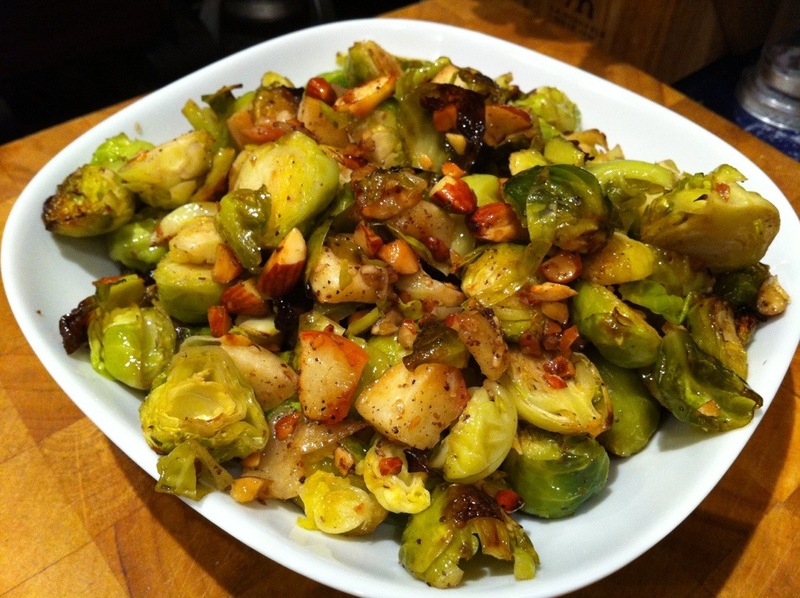 I make brussels sprouts and balsamic vinegar, so I can see how apples would work. Sweet works well with these sprouts! Yum! Always trying to find new ways to cook brussels sprouts. Thanks for the inspiration! 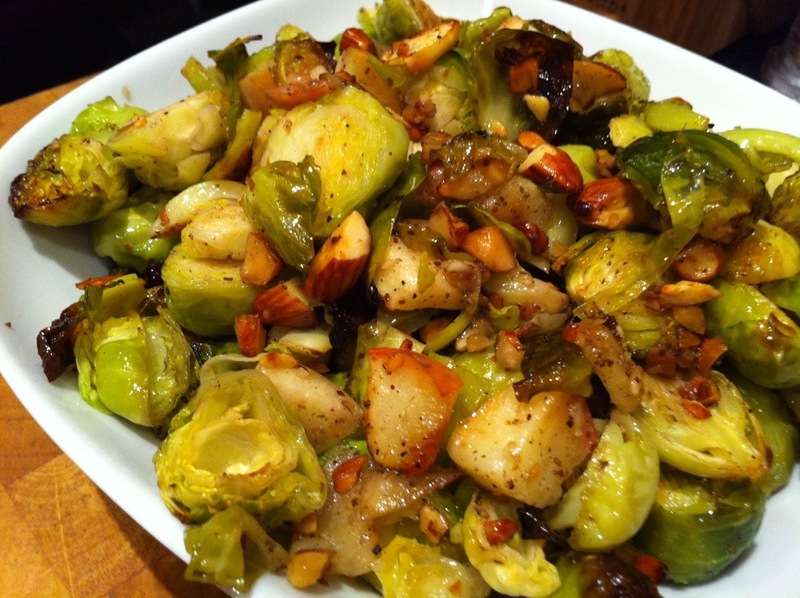 Mmm…I love Brussels sprouts! Thanks for the recipe! 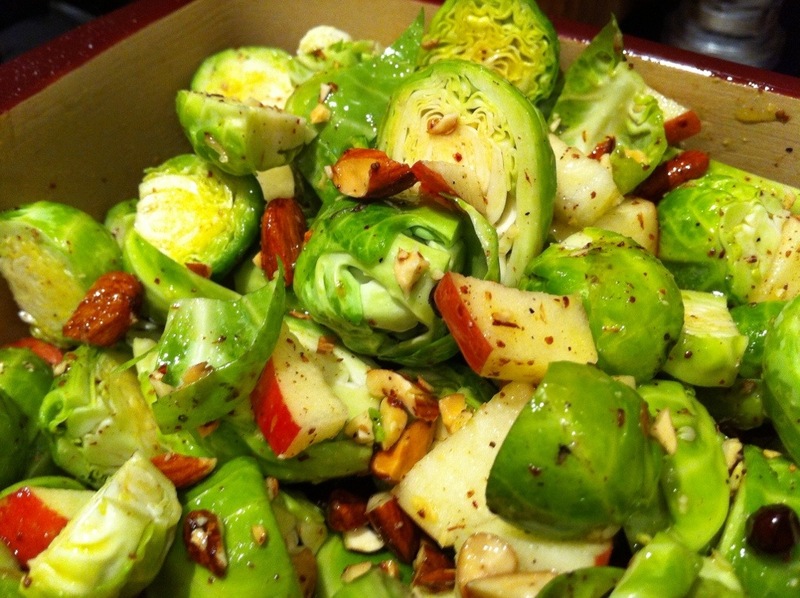 You really can’t go wrong with Brussels sprouts (one of my favorite vegetables!) but these look especially delicious. Very smart flavor pairing! Thanks, Hannah! I really enjoyed this combo of flavours!